About two weeks ago I shared with you about my break up with ipsy. So imagine my surprise when I went to mailbox and saw that magenta mailer peaking out. Getting one last Glam Bag was kind of like seeing an ex after a break up: I was initially concerned that I made the wrong decision, but after spending 60 seconds with it, felt vindicated in my choices. 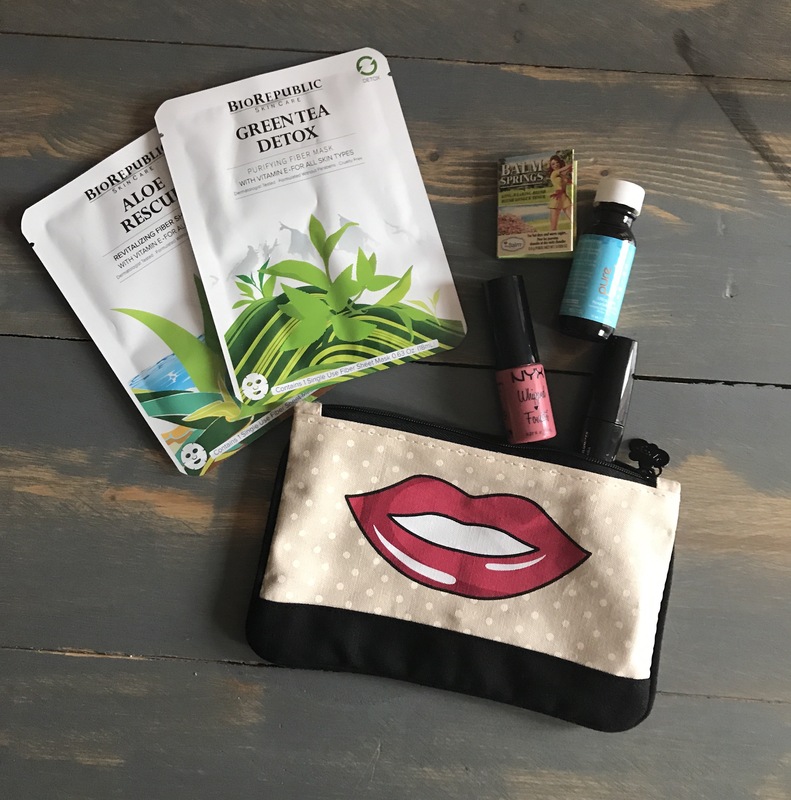 Each month, ipsy curates a bag around a specific theme. This months theme is…..hell, I don’t know. I looked at the card and then immediately tossed it. But, a peek at the ipsy website (that’s how deep I go for you, dear readers!) claims this months theme to be around speaking your mind. With that in mind, let’s take a look at what’s inside this month’s bag. BioRepublic Face Mask in Green Tea and Aloe Rescue. I love a good face mask and I’ll definitely use this in my Sunday night beauty routine, but how it relates to the speak up theme is beyond me. Because lips are used to speak and they’re on your face? The Balm Blush. Underwhelming. Moving on. Hair oil. Sigh. I think I’ve received hair oil in four of my last six Glam bags. I will throw it in the stockpile with my five hundred black eyeliners, also courtesy of ipsy. And don’t get me started on how this fits in with the theme! NYX Lip gloss. Finally, something on theme! Lipstick totally makes sense with a “speak up” themed bag. So much so, I’m not sure why they didn’t theme the whole bag around things for your lips – a nice scrub, some liner and a few different colors. Mascara. I can’t even care enough to tell you what brand it is. The bag. The design is (finally) super cute, but the quality isn’t the best. The fabric feels cheap compared to other bags. Disappointing and reaffirming my decision to break up. Looking forward to my first date with Play! By Sephora.